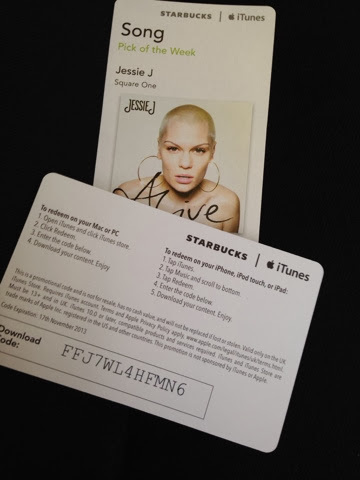 To celebrate Jessie J's new album ALIVE, and to take advantage of starbucks' song of the week, I am going to be reviewing 'square one' which I fell in love with the very first time I heard it. I'm currently sitting at the back of a number 65 bus, that's slowly making it's way past Kew gardens. As much as I hate public transport, I would rather be sat here surrounded by screaming school kids and people that think they're posh, than be outside in the bitter cold. I have been listening to 'square one' on repeat for the past out, and from the first lyric her iconic voice had me falling in love! I have loved Jessie's music since I heard her first single 'Do it like a dude' and you can not only hear but feel how her voice has grown since she was first blasted on national radio! Her voice is powerfully beautiful and fierce, of which you can really sense in this song! If square one is a sign of the future for Jessie's career then damn, I'm looking forward to the next few years! I actually can't wait to see Jessie at the end of the month, to experiance such an amazing voice in the same room is bound to be unforgettable!